Branching Oyster fungus new to North-West Scotland? To the west of where I live at Torbreck (NC0824) there is a square kilometre of interesting ground that seems to have been little explored by local naturalists, perhaps because it is difficult to access. The broken terrain contains some six lochans, set amongst steep-sided rocky knolls that are well-wooded in places. I was exploring the area on 12th March 2017 when I came across this fine display of gill fungi, on a large dead branch of a huge old rowan. Individual fruiting bodies were up to 10cm across, with smooth, wavy-edged cream caps and pale gills running down the short, excentric, stems. Their general appearance suggested one of the group known as oyster fungi. Since I was passing through Ullapool a few days later, I was able to leave a specimen for Bruce Ing’s expert opinion. 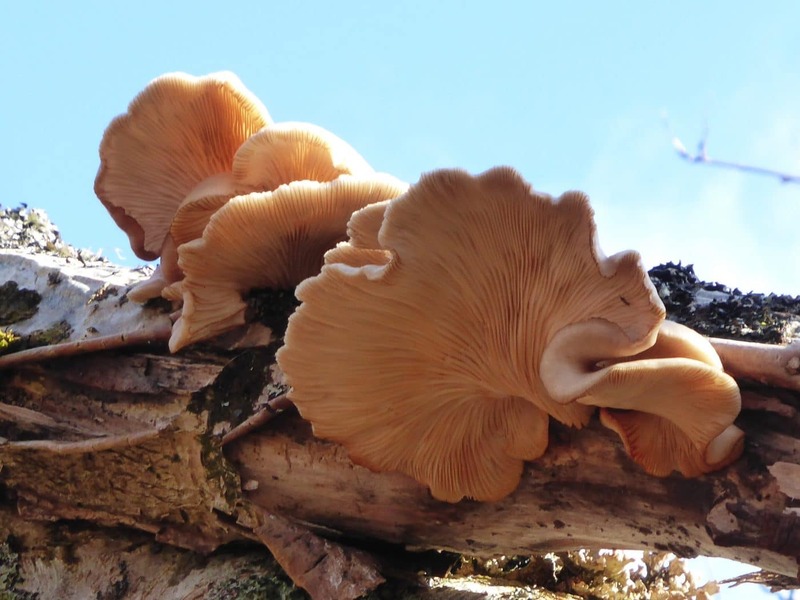 He named it as the branching oyster Pleurotus cornucopiae, a species he has never come across in West Ross, and which he thinks may well be new to West Sutherland. A current map of its distribution on the NBN Atlas shows numerous records for England, but only about a dozen for Scotland, with none in the north-west. 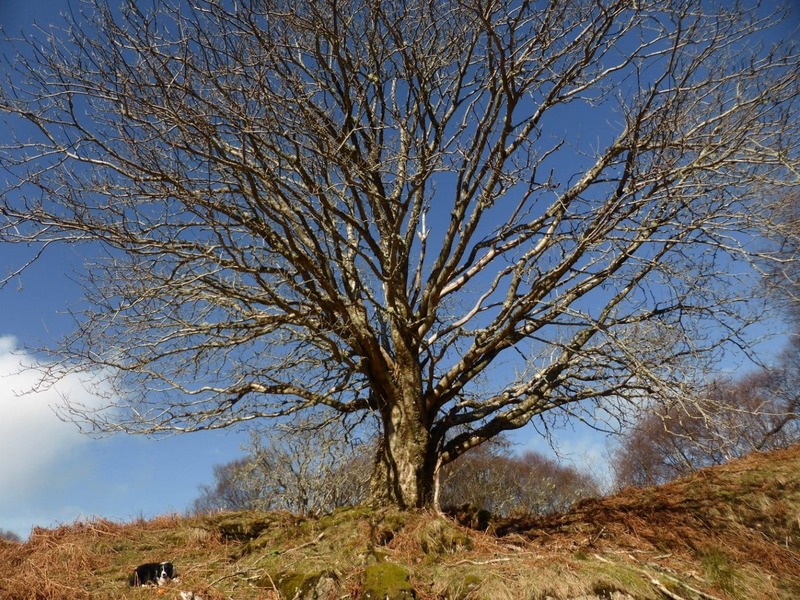 It is associated with the dead decayed trunks or large branches of a variety of native broad-leaved trees, including rowan.